There’s plenty of mystery in this year’s Eudora Welty Writers’ Symposium keynote novel, The Widow and the Tree, and there is crime, both contemplated and perpetrated, though I wouldn’t classify the novel as a mystery exactly. It blends some elements of that genre, along with the gothic modern fairy tale that Welty uses in her Robber Bridegroom. Both books serve as the inspiration for our theme this year, and consequently, we have a few mysteries in the group. Carolyn Haines’ Bonefire of the Vanities may have the greatest claim to that fame, coming as the 12th in the Sarah Booth Delaney mystery series. Her intrepid detective is aided and abbetted by her sidekick and two dogs, as well as a relatively friendly ghost. Together they solve mysteries in the Mississippi Delta, bones of all kinds providing the common theme. Carolyn Haines will read on Friday 10/19 at 1:30 p.m.
Olympia Vernon also explores crime in her novel, A Killing in This Town, though the tone is a bit more sober, as she delves into the motives and the ramifications of a fictional civil-rights era slaying in rural Mississippi. 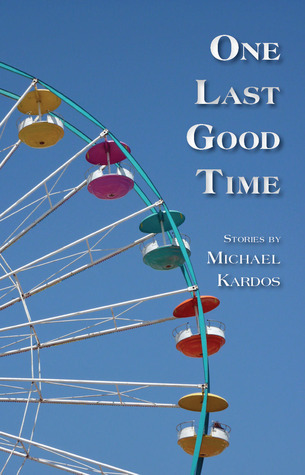 Finally, Michael Kardos brings his debut novel to the symposium. The Three-Day Affair has been called a mystery thriller involving a somewhat unintentional kidnapping and the college buddies who have to weigh their allegiance to each other against their conscience and better judgement. Both Michael Kardos and Olympia Vernon read on Saturday 10/20 from about 10:30-12:00. I love the dark humor in these stories. The book is a linked short story collection in which the stories that have returning characters comment on each other and further develop the characters, though the collection does not read like a novel. Each story stands on its own, yet we get a fuller view of a small New Jersey coastal town the further we read into the book. It is wickedly funny and perceptive at the same time. Like a reflection in a funhouse mirror, we see our true selves, our nightmare selves, and perhaps even our fantasy selves all at once.